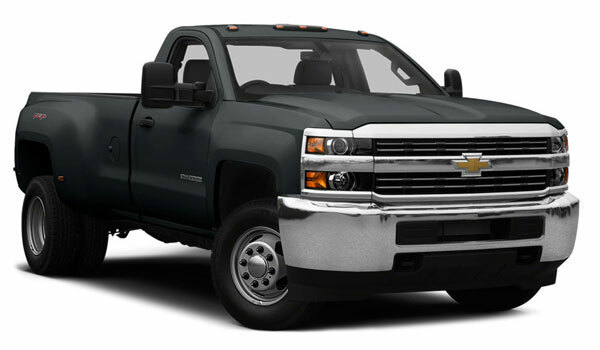 When Bloomingdale and Glendale Heights drivers are looking for a full-size pickup truck, many of them turn to the 2016 Chevrolet Silverado 1500 for dependable, long-lasting performance. It faces competition from the likes of the 2016 Toyota Tundra, which is why it’s worthwhile to look at them side by side. If you determine that the 2016 Chevrolet Silverado 1500 is the more capable option, then check it out for yourself at Sunrise Chevrolet in Glendale Heights, IL. The 2016 Chevrolet Silverado 1500 offers more engine choices and power than the 2016 Toyota Tundra. The base engine on the Silverado 1500 is a 4.3L V6 that makes 285 hp and 305 lb-ft of torque. Move up to the 5.3L V8 to increase output to 355 hp and 383 lb-ft of torque, or go with the maximum output from a 6.2L V8, which delivers a best-in-class 420 hp and 460 lb-ft of torque. The Tundra is only offered with two engines. The 4.6L V8 base engine makes 310 hp and 327 lb-ft of torque, while the range-topping 5.7L V8 only puts out 381 hp and 401 lb-ft of torque. While the 2016 Chevrolet Silverado 1500 lineup performs at higher levels than the 2016 Toyota Tundra, each of the former’s engines gets better fuel economy than either Toyota Tundra powertrain. The V6 on the Silverado 1500 reaches up to an EPA-estimated 24 mpg highway and 18 mpg city, while the mid-range V8 gets up to an EPA-estimated 23 mpg highway and 16 mpg city. Even the robust 6.2L V8 is able to come in at up to an EPA-estimated 21 mpg highway and 15 mpg city. Meanwhile, the Tundra’s 4.6L V8 base engine only musters up to 19 mpg highway and 15 mpg city, according to the EPA, and the 5.7L V8 tops out at 18 mpg highway and 13 mpg city. For those who need to haul lots of cargo, the 2016 Chevrolet Silverado 1500 is the clear choice. Even the base engine on the Silverado 1500 is able to tow up to 7,600 pounds. The smaller V8 engine increases towing capacity to 11,000 pounds, and the larger V8 comes in at a class-leading 12,000 pounds. 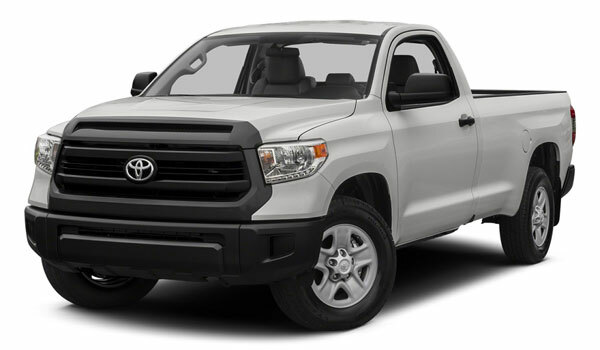 The 2016 Toyota Tundra’s base engine maxes out at a towing capacity of just 6,800 pounds, while the larger engine comes in at up to a mere 10,500 pounds. When you need a full-size pickup truck with tough performance and a reputation for durability, choose the 2016 Chevrolet Silverado 1500. The new Silverado is now on sale at Sunrise Chevrolet, located near Bloomingdale at 414 North Ave. in Glendale Heights, IL. Contact our sales team with any questions!